It’s a tough question to answer because every small business is unique. That being said, we recently built a research panel of small businesses to help us better understand and serve our customers’ needs. One of the first things we wanted to do with this panel is to take the temperature of the small business community, and put the results out in the world for everyone to see and compare their own experiences. A majority of small businesses are experiencing revenue growth, however, attracting new customers continues to keep small business owners up at night. Further, a full 30% report their cash flow is inadequate and preventing them from growing their business. Of the 19% of small businesses that have sought funding this year, only 16% got some or all of the funding they needed. 66% of small businesses are not planning to hire additional full-time employees in the next six months. Almost 20% said they need to hire more employees but can’t. While attracting and engaging customers is a top concern, marketing spending has stayed steady for most of the small businesses surveyed. 60% report keeping their marketing budget the same as 2011, and only 29% have increased their budget. This means social media could play a more prominent marketing role if they were more confident in their social media skills. 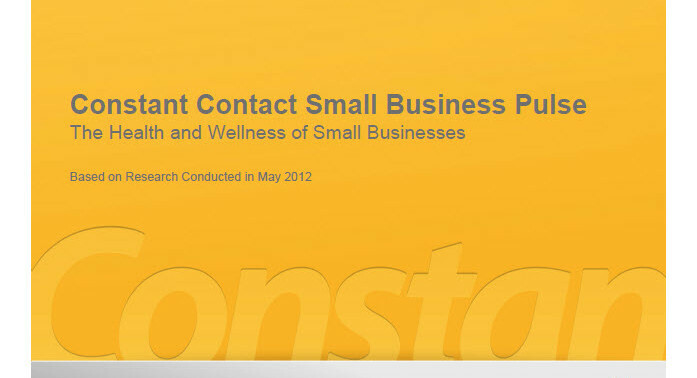 This Constant Contact-sponsored survey was administered in May 2012 to 1000 participants in the Constant Contact Small Biz Council—a research panel of US small businesses and nonprofits recruited from the Constant Contact customer base. This is the first installment of an ongoing study about the state of small businesses and the ways they connect with, and grow, their audiences. Results include responses from 728 respondents across a range of business-to-business and business-to-consumer industries. How does your small business match up to these results? Tell us in the comments.